Since it’s the middle of winter and we’re all suffering from the winter blahs, it seemed like a good day to feature a beach-themed wedding favor. We could all use a week at the beach right about now…am I right? 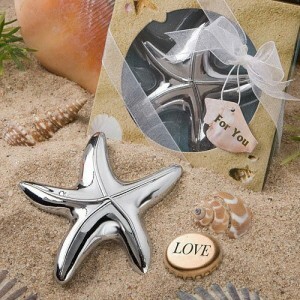 and this starfish-shaped bottle opener would be a great little gift for your destination wedding. 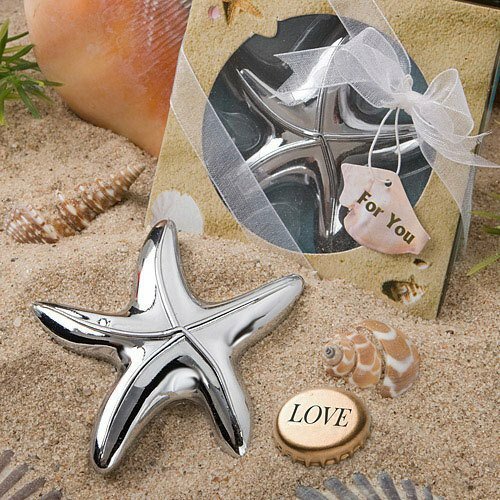 Each chrome-finished opener comes in a beach-themed box so they’ll fit in with your beach-y theme. You can find these bottle openers here.